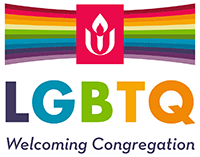 Sending a leadership team to the Southern Unitarian Universalist Leadership Experience (SUULE) is an investment in the future of our congregation. With the help of the Southern Region, we were fortunate to be able to send three of our volunteer leaders (and Board members) this year to SUULE from August 6th through 11th at the 4H Conference Center in Wirtz, Virginia. Renee, Buffy and LaRahna will be sharing their experiences at SUULE at an upcoming worship service.